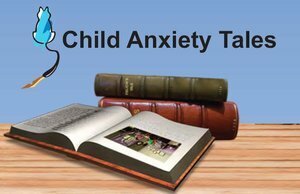 WORKBOOK PUBLISHING, Inc. is dedicated to offering well-researched, empirically-supported, and practical books, software, computer and audiovisual programs to provide mental health professionals and educators with treatments for working with children and adolescents. Treatment manuals for therapists and workbooks for the participant youth are available, including The Coping Cat treatment series, as well as programs and materials for therapist training. Review our on-line catalog to see the different treatment programs, workbooks, and training materials that are available. Youth can benefit greatly from having engaging and appealing workbooks, software, and audiovisual aides to guide their experiences. Our treatment workbooks are designed specifically for youth – engaging, appealing, and developmentally appropriate. The workbooks guide the implementation of the cognitive-behavioral therapies. Our workbook titles include “The Coping Cat Workbook”, for use with anxious youth and "The C.A.T. Project" for use with anxious adolescents.